We have put together some ready made Columns for use in the game Congo using a selection of figures available through North Star. 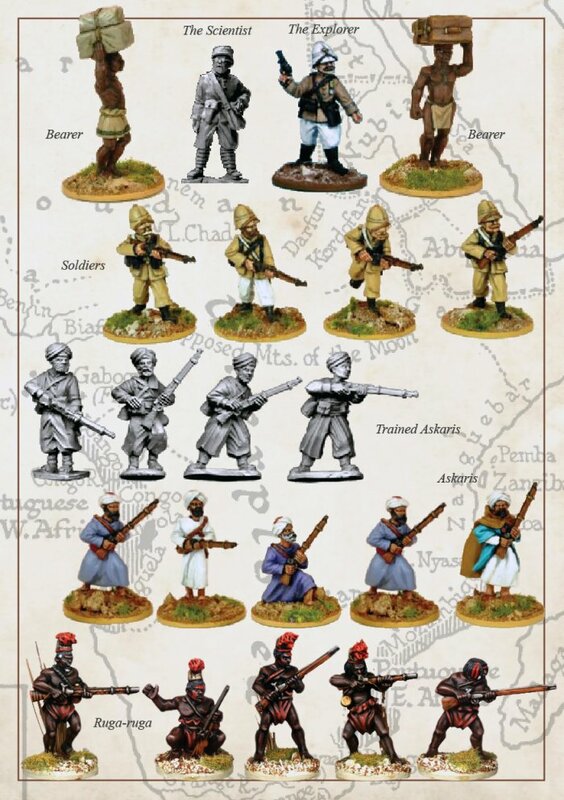 This White Men Expedition Column is based on the French Foreign Legion figures from Artizan Design. A total of 22 figures.